The new Canon 5D Mark III hit the store shelves with much anticipation. It has been three long years since Canon 5D Mark II owners have been waiting with high expectations of a suitable replacement. In September 2008, award winning photographer Vincent LaForet showed the world an affordable consumer grade camera can achieve a filmmaker's cinematic look and feel in Full HD. I spent the last month immersing myself with the Canon 5D Mark III shooting pictures and video of real life situations. No fancy scientific charts or graphs in my Canon 5D Mark III practical review. 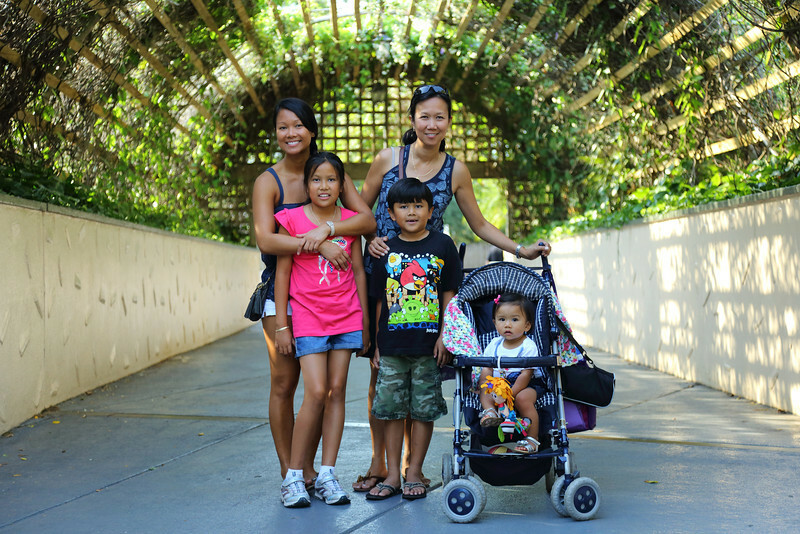 I bring to the HD DSLR world just a family point of view through the lens of the Canon 5D Mark III. The baby stroller comes in handy as a camera gear caddy, as well. I will get straight to the point for still photographers. The Canon 5D Mark III can freeze fast action with AI Servo in low light with a very clean 6400 ISO all day and night. 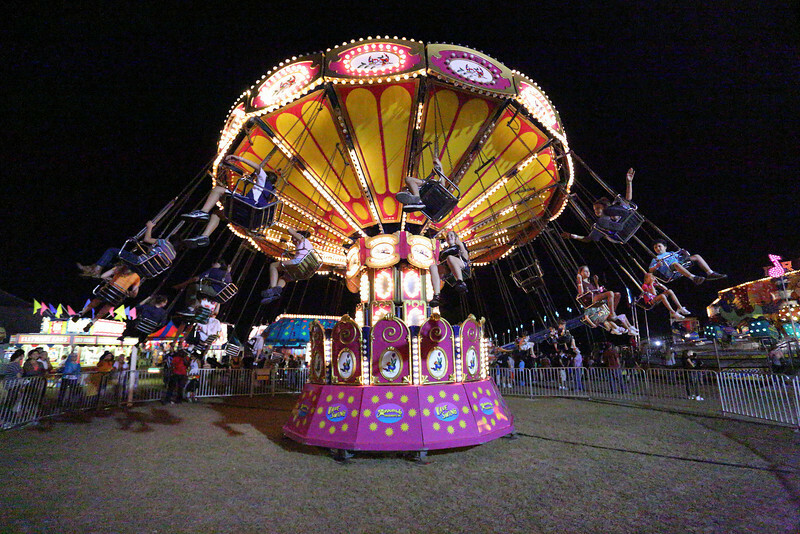 The new 61 AF points and the DIGIC V+ processor can crank out the 6fps with decent accuracy at my kid's Spring Carnival at night. I am a Canon 1D Mark IV owner with a tenacity for dead on focus at a fast frame rate. The Canon 5D Mark III new 61 point AF system is top notch for a non 1D series camera without the 1D series price tag. Brilliant! High Dynamic Range photographers rejoice! The Canon 5D Mark III is the first Canon DSLR with built in camera HDR processing. With a press of a dedicated HDR button, you can automatically capture three images at different exposures and the DIGIC V+ processor will do the rest magically. You can immediately view the aligned and processed JPEG from the super sharp 3.2 inch LCD screen. 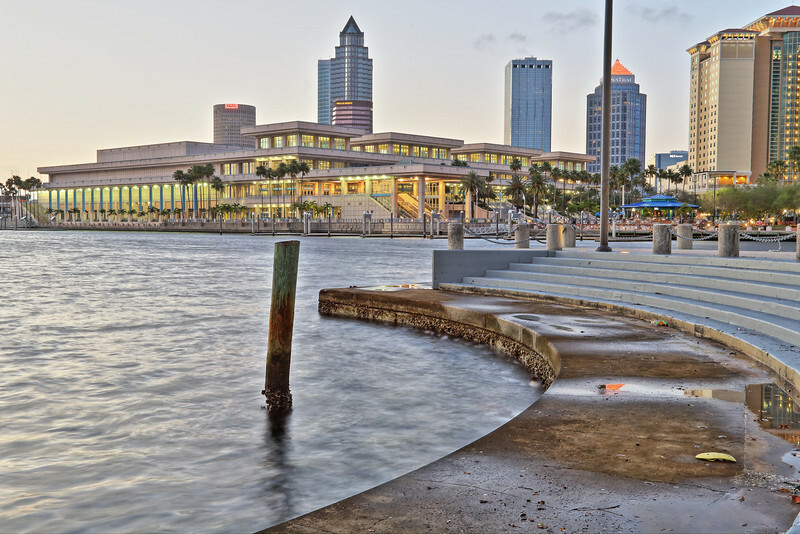 For even more manipulation, you can post process the HDR images in the newly updated Canon Digital Photo Professional version 3.11.26. Say goodbye to Photomatix and hello to the free Canon Digital Photo Professional with built in HDR tool. 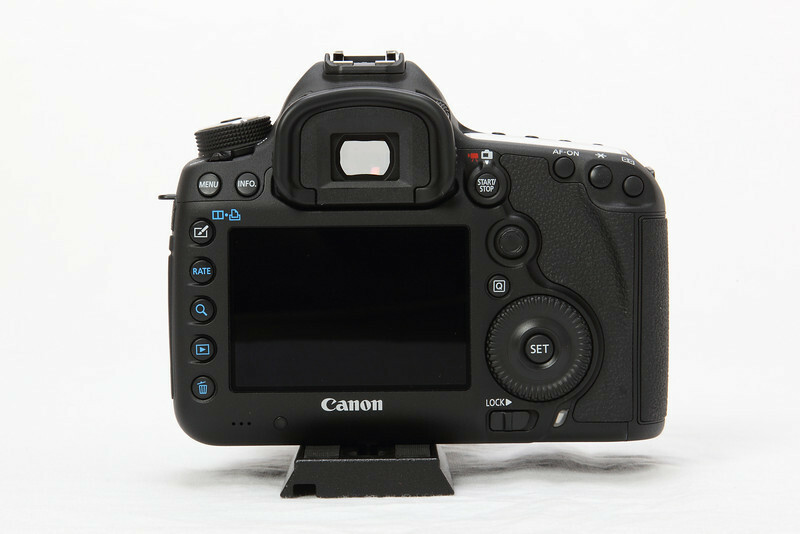 No more print button to access Movie mode in the Canon 5D Mark III. 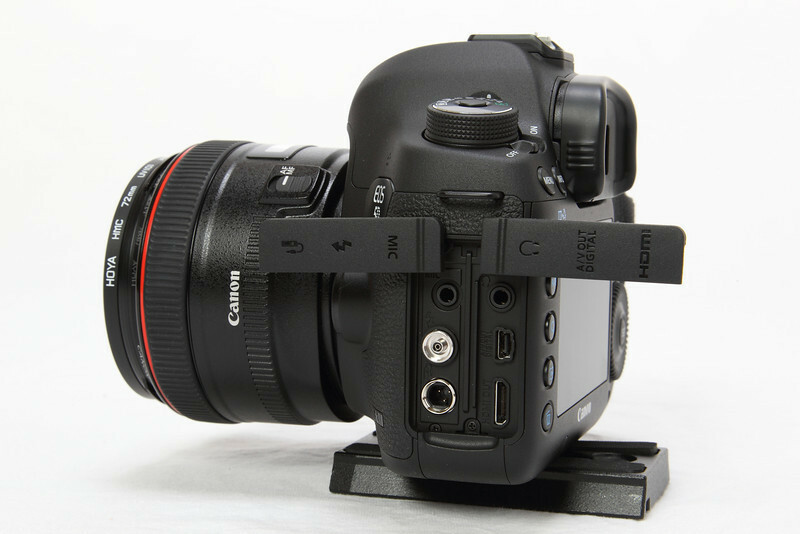 The Canon 7D selector dial on the Canon 5D Mark III now makes it easier to shoot Full HD movies. Just like the 7D, the Canon 5D Mark III now has 1280x720p at 60fps video resolution. All this cinematic goodness comes with a choice of two H264 video compressions, ALL-I and IPB. I am still investigating the pros and cons of both at the moment. The ALL-I compression captures Quicktime MOV video files at a massive 3 times the size compared to IPB. Your memory cards and hard drives will burst. Just like broadcast TV cameras, embedded video Timecode is now a reality for HD DSLR's. RecRun and FreeRun Timecode can make logging hours of footage more manageable. The 4gb FAT32 flash memory card limitation is a thing of the past when it comes to the roughly 12 minute video recording cap of the Canon 5D Mark II. The Canon 5D Mark III can record up to a full 29 minutes and 59 seconds during one video capture. The DIGIC V+ processor records consecutive 4gb files to the memory card. In post production non linear video editing, you can line up the consecutive video files in your timeline for a seamless edit. 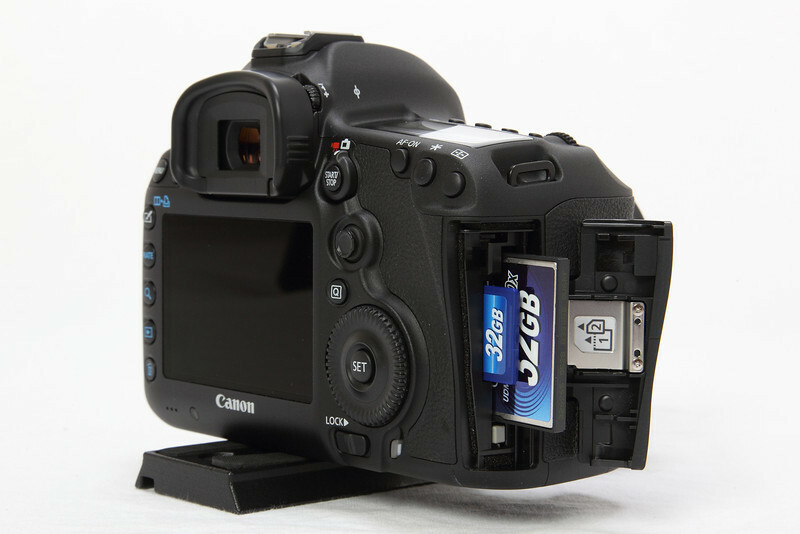 As for in camera memory card space, you can program the camera to automatically jump from one card slot to the next when the first card becomes full. Audio capture with HD DSLR video recording has always been a challenge. Although not perfect, the Canon 5D Mark III shines with the new addition of a headphone jack to monitor audio, displayed and adjustable audio levels during recording and touch sensitive controls for quiet adjustments. I am not a big fan of stereo mini jack audio connections. They get loose over time along with the crackly noise that follows. 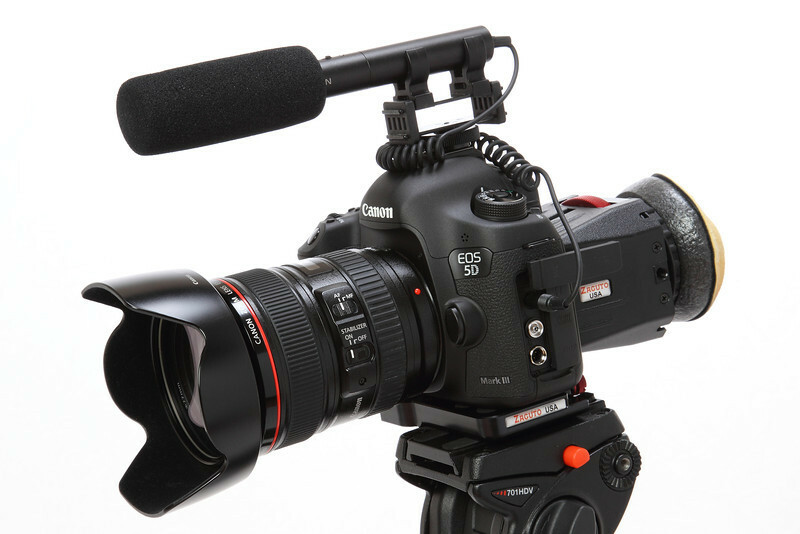 I do not expect Canon to put a full size XLR audio connection on the Mark III anytime soon. That is what the new Canon C300 and C500 full blown cinematic cameras are made to accomplish. Their hefty $15,000 and $30,000 price tag for professional audio is overkill. The new Beachtek DXA-SLR PRO will just do fine at the moment. A 1080p video shot with the Canon 5D Mark III at 29.97fps. Edited with Final Cut Pro 6.0.6 and used the Canon E-1 Movie Plugin version 1.3 to transcode to AppleProRes422. I used Compressor at high quality to get a 1gb h264 video file. I used an AZDEN ECZ-990 shotgun microphone for audio and a Zacuto Z-Finder Pro 2.5x for critical focus. For support I used a Manfrotto 701HDV head with Benro 3580 tripod legs. I also used a FADER ND Mark II variable neutral density filter to control exposure at the optimal 1/60th shutter speed, wide open aperture and an ISO of 160. 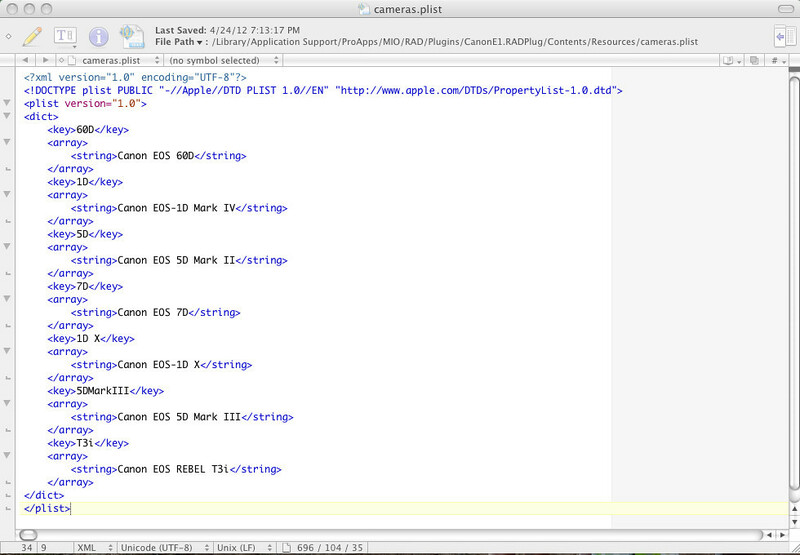 The picture above with lines of code is my modified .plist of the Canon E-1 Movie Plugin version 1.3 for Apple Final Cut Pro editing software. My point? Just like in my Canon Rebel T3i Video Test, I modified the plugin for an entry level DSLR like the T3i to transcode automatically to AppleProRes422 like the big boys. 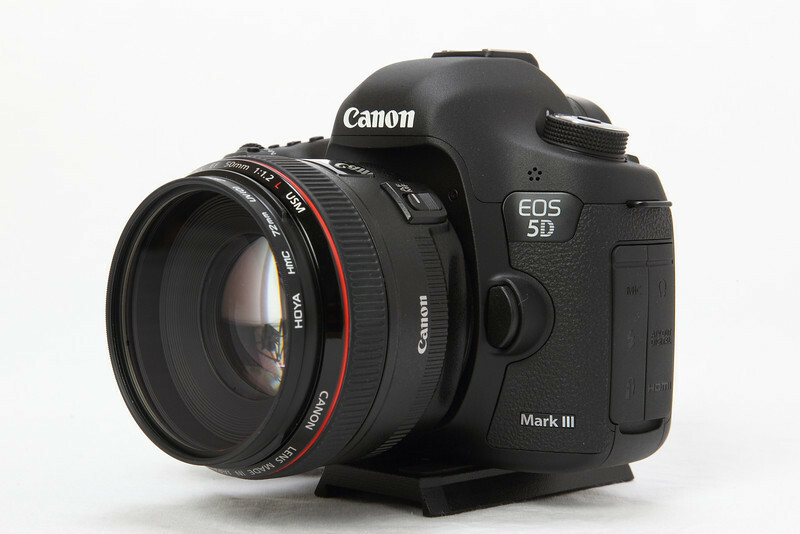 Now with the addition of the Canon 5D Mark III to the Canon E-1 Movie Plugin .plist, Canon Rebel T3i/600D owners can have their dessert, also. A 720p video shot with the Canon 5D Mark III at 59.94fps. Edited with Final Cut Pro 6.0.6 and used the Canon E-1 Movie Plugin version 1.3 to transcode to AppleProRes422. I used Compressor at best quality to get a 750mb h264 video file. I used an AZDEN ECZ-990 shotgun microphone for audio and a Zacuto Z-Finder Pro 2.5x for critical focus. I also used a FADER ND Mark II variable neutral density filter to control exposure at the optimal 1/125th shutter speed, wide open aperture and an ISO of 160. The Canon 5D Mark III verdict? For a retail price of $3499 for body only, the Canon 5D Mark III is not in the Canon Rebel category when it comes to price. When compared to the Canon 5D Mark II, the price is justified especially with the 61 AF point focusing system and the plethora of video improvements. 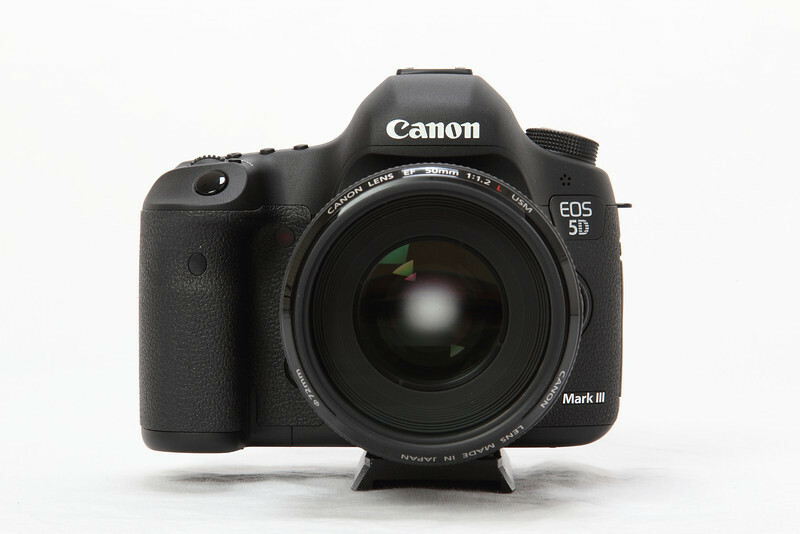 The Canon 5D Mark III is a Wedding Photographer's dream DSLR. A high ISO capable full frame sensor with accurate multipoint AF system with Full HD video capability. It is a no brainer for current Canon 5D Mark II owners to upgrade to this amazing camera. A game changer to the DSLR industry in 2008 and again in 2012. You can view more ISO examples, product shots, HDR photos, videos and more in my Canon 5D Mark III Practical Review and Video Test Gallery. 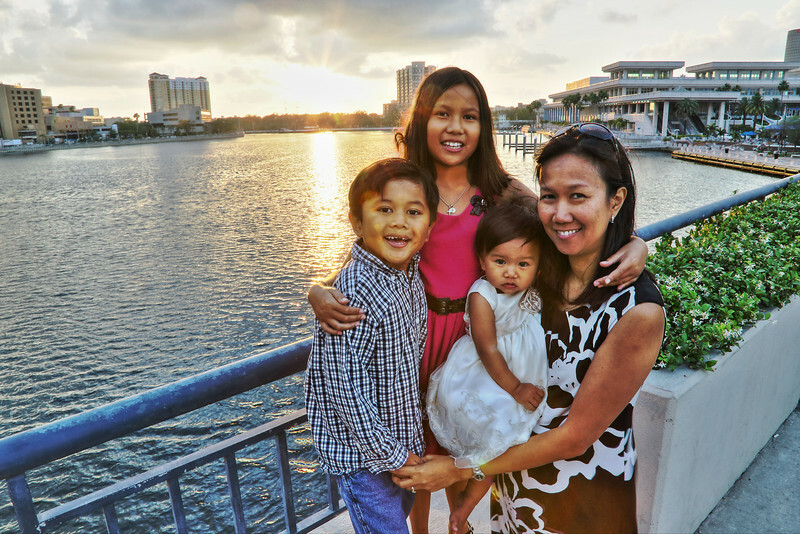 Shot with the Canon 5D Mark III paired with Canon EF 17-40 f/4L,EF 24-105mm f/4L IS,EF 70-200mm f/4L IS,EF 35mmf/1.4L,EF 85mm f/1.2L and the EF 70-200mm f/2.8l IS II lenses. Canon EOS 5D Mark III Firmware 1.2.1 Update Released for Download with new features such as a clean HDMI out and cross-type AF points at f/8. Sorry to disappoint...It is my first attempt at HDR. Can you point me in the right direction for any good HDR tutorials? 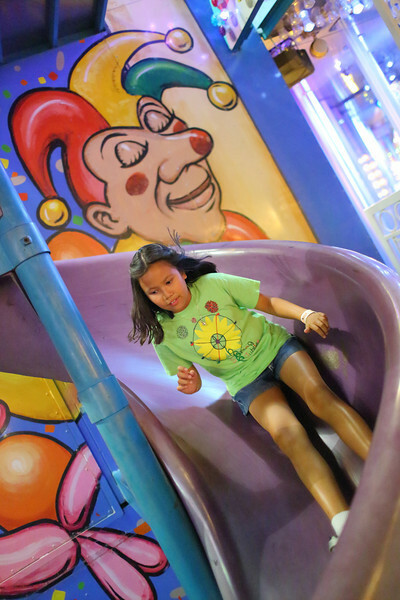 I just got my 5D3 a few days ago so still playing. I'm basically a Nikon guy, and one thing I miss is that the Nikon RAW files were awesome SOOC and I felt I had a lot of freedom with Capture NX2. I find the CR2 files quite punchy SOOC, even with a 'dialed down' profile. Could you give me some insight on your RAW workflow? Hello again and congrats on your slow convert to Canon. 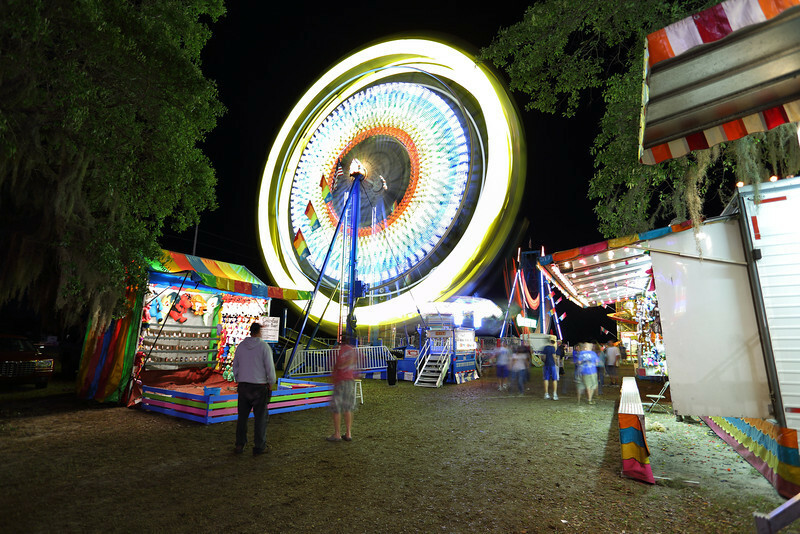 The new improvements include HDR tool, Digital Lens Optimization with EF lenses and much more. I always tell everybody it is free software with free upgrades with future Canon models. It is quite the bargain! BTW, if I need additional very basic "photoshopping", I use LR or Adobe Photoshop Elements 9. I have to check the Adobe site for 5D Mark III RAW file updates but I am sure they are compatible currently or will be shortly. đông trùng hạ thảo aloha có tốt khôngĐừng lo, giờ đây chúng tôi sẽ giúp bạn đánh bay những vết, hạt mụn khó chịu này một cách an toàn, không còn để lại sẹo, vết thâm nào. Dưới đây là cách trị mụn hiệu quả từ thiên nhiên đơn giản tại nhà, bạn nên thử nghiệm nhé! đông trùng hạ thảo aloha có tốt khôngVậy làm sao để trị tận gốc những mụn đầu đen xấu xí này đây. Đừng lo lắng, sau đây chúng tôi sẽ giới thiệu bạn phương pháp trị mụn đầu đen từ thiên nhiên vô cùng an toàn và hiệu quả. đông trùng hạ thảo aloha hà nộiBạn đang lo ngại các sản phẩm kem trị mụn chứa nhiều thành phần hóa học, gây ra phản ứng cho da. Nhưng nếu không dùng kem để chấm dứt mụn thì làn da bạn trở nên xấu xí, sần sùi hơn. đông trùng hạ thảo mỹ alohaĐể chấm dứt những hạt mụn li ti này, chúng tôi sẽ giới thiệu đến bạn cách đơn giản nhất từ mật mong. Với cách trị mụn cám bằng mật ong sau đây sẽ giúp chị em cải thiện làn da hiệu quả.